Pimlico born William Morris “Billy” Hughes, CH, KC, (25 September 1862 – 28 October 1952), became the seventh Prime Minister of Australia in 1915. Born at 7, Moreton Place , Pimlico in 1862 Billy lost his mother, a servant, when he was only seven and was sent by his father, a carpenter at the House of Lords, to live with his Welsh relatives. He returned to Pimlico when he was about 12 years old and was sent to St Stephen’s School (now Burdett Coutts) near Rochester Row. Here he met two people that were to change his life. One was school inspector Matthew Arnold, a famous poet, who inspired him to improve himself and to become a pupil teacher at the school. The other was fellow pupil George Payne, who in 1884 would help to pay Billy’s fare to emigrate to Australia. The penniless Hughes struggled to make ends meet when he arrived down under and was employed in a number of dead end jobs before arriving in Sydney. In Sydney Billy became involved in socialist politics in New South Wales, becoming an elected Member of the NSW State assembly in 1894, and a Member of the House of Representatives (MHR) of the first Australian Federal Parliament in 1901. In October 1915, towards the end of the disastrous campaign at Gallipoli, he became Prime Minister of Australia. In 1916 Billy returned to his birthplace and stayed to champion the interests of the ordinary Australian soldier fighting in Flanders. By the time he visited the ANZAC HQ in Horseferry Road and his old school in November 1916 he was already known as ‘The Little Digger’ in recognition of his efforts on their behalf. However, one of these initiatives, conscription, led him to being expelled from the Labor party and forming a new Nationalist Party to enable him to stay on as prime minister. This poor boy from Pimlico mixed with the world’s great leaders at the Versailles Peace Conference in 1919 that formally ended World War 1. 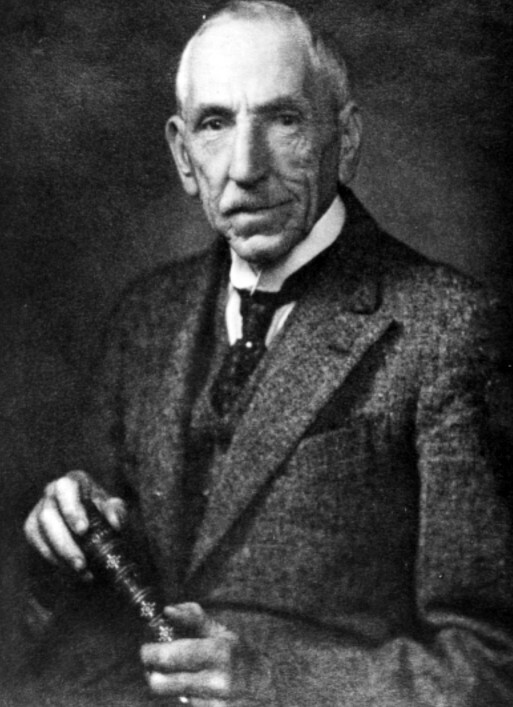 Hughes was Billy Hughes and second wife Mary visit his old school St Stephen’s (Burdett Coutts) determined to secure reparations from Germany to compensate Australia for its war losses and to maintain control of the former German territory of New Guinea to maintain security. Wilson continued: “Do you think 5 million Australians should hold to ransom the 1,200 million represented by the Conference”. which as everyone knew was more than Wilson did. As a great patriot and supporter of the British Empire Billy remained Prime Minister until 1923, and continued as a MHR until his death, aged 90, in 1952. He is still the longest-serving member of the Australian Parliament, and one of the most colourful and controversial figures in Australian political history.